At COMMON GROUND, we value your privacy and strive to protect your personal information in compliance with the laws of Malaysia. 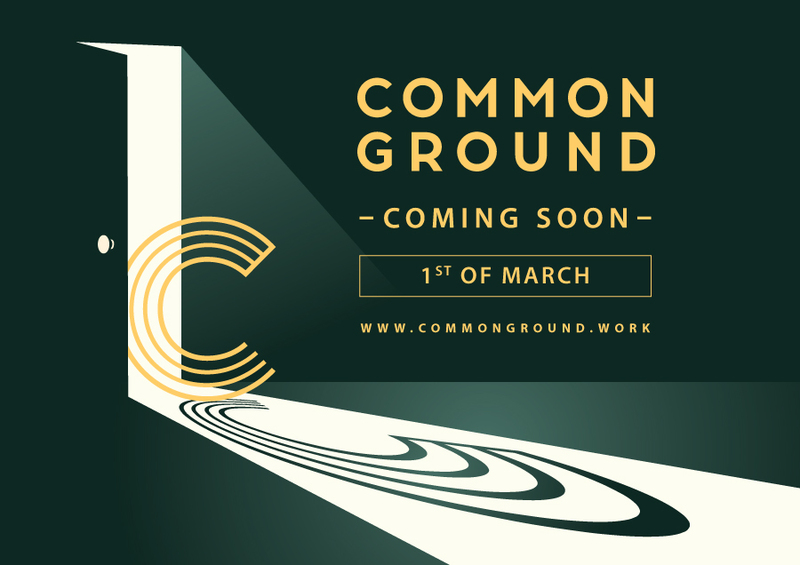 COMMON GROUND will only collect and use your personal information in accordance with such laws (including the Personal Data Protection Act 2010), this Privacy Notice and/or the privacy terms in any agreement(s) that you may have or will enter with COMMON GROUND. d. The choices we offer, including how to access and update your personal information. a. "Personal information" refers to any information which relates directly or indirectly to you and/or your transactions with us. This information includes your name, address, occupation, contact details, the details of your account(s), the type of products and/or services subscribed to and such other necessary information regarding yourself and your transaction(s) with us. For the avoidance of doubt, please note that this Privacy Notice is applicable only if you are an individual. b. "COMMON GROUND" refers to the Service Provider COMMON GROUND or Common Ground Works Sdn Bhd (Company No: 1203873-X), a company incorporated in Malaysia having registered and business address at registered address at Penthouse, 16-1, Level 16 Wisma UOA Damansara II No 6,, Changkat Semantan, Bukit Damansara, 50490 Kuala Lumpur, Federal Territory of Kuala Lumpur. By providing to us your personal information, you hereby consent to the processing of your personal information in accordance with this Privacy Notice. If you are a corporation supplying personal information of your directors, shareholders and/or officers to us, please do ensure that you have duly obtained their consent and bring this Privacy Notice to the attention of your directors, shareholders and/or officers whose personal information you are supplying/have been supplied to us. c. that you provide when you apply for any of our products and services. g. from such other sources in respect of which you have given your consent to disclose information relating to you and/or where not otherwise restricted. u. for any other purpose that is required or permitted by any law, regulations and/or guidelines. All parties mentioned in the clause above may in turn disclose your personal information to companies within their group of companies, their affiliates and directors, shareholders, employees of such companies and affiliates, their professional advisers, service providers, strategic partners, regulators and other parties on a “need to know basis” who or which may have business or dealings with them. The above shall be subject at all times to any laws (including regulations, standards. guidelines and/or obligations) applicable to the COMMON GROUND (whether in or outside Malaysia). Additionally, the individual entities within COMMON GROUND may contact you about services and offers, which we believe may be of interest to you or benefit you financially. You may tell us at any time if you do not wish to receive marketing communications from us, from individual entities at COMMON GROUND by writing to us. Your latest written instructions to us will prevail. As for our third party merchants or strategic partners, we will only contact you for marketing purposes of their services/products if you opt-in to receive the same from us by completing the consent form available at the servicing branch. e. where we are required to meet our obligations to any relevant regulatory authority. 7.0 What If Personal Information Provided By You Is Incomplete? Where indicated, it is obligatory to provide your personal information to us to enable us to process your application for our products or services. Should you decline to provide such obligatory personal information, we may not be able to process your application/request or provide you with our products or services. You need to update us if there are any changes in your personal data otherwise the latest personal data collected from you shall be applicable. a. You may have access to your personal information by making a request via the access request form available at the Center or any of our branches, subject to payment of the relevant processing fee (if applicable). We will use reasonable efforts to provide you with a copy of the requested personal information within 21 days of receiving your duly completed Access Request Form and the processing fee. b. Please note that COMMON GROUND may have to withhold access to your personal information in certain situations, for example when we are unable to confirm your identity or where information requested for is of a confidential commercial nature or in the event we receive repeated requests for the same information. Nevertheless, we will notify you of the reasons for not being able to accede to your request. c. Where your data access request is successful and you are of the opinion that such personal information held by us is inaccurate, incomplete, misleading or where relevant, not up-to-date, you may make a request to correct such personal information. d. You can also assist us to keep your personal information (such as your current mailing address) up to date, as it will enable us to serve you better. e. In the event you wish to correct / update your personal information previously provided to us, please write in or notify us at the address provided below. We will use reasonable efforts to comply with your request to correct your personal information within 21 days of receiving your written request. f. Please note that COMMON GROUND may use its discretion in allowing the correction / update requested or may require further documentary evidence of the new information to avoid fraud and inaccuracy. Should you have any query, concerns or complaints in relation to this Privacy Notice or how we handle your personal information, kindly contact any of the abovenamed persons. This notice may be amended by us by giving the requisite notice in order to comply with regulatory requirements.